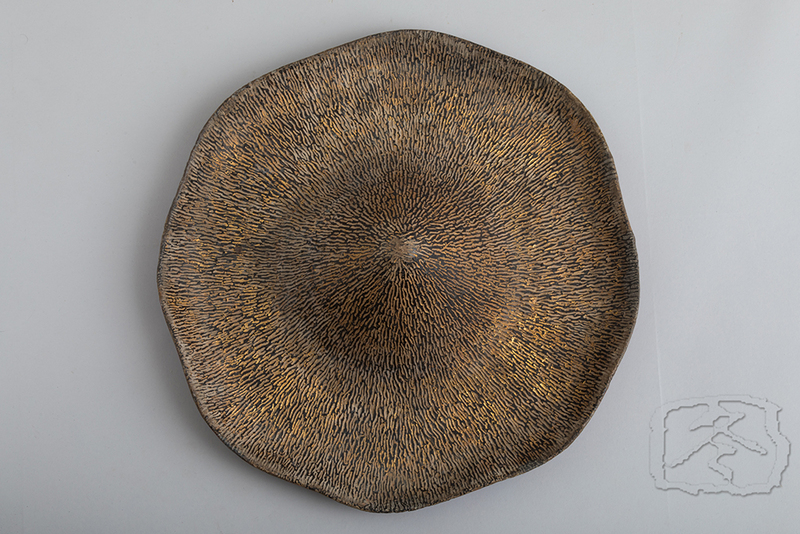 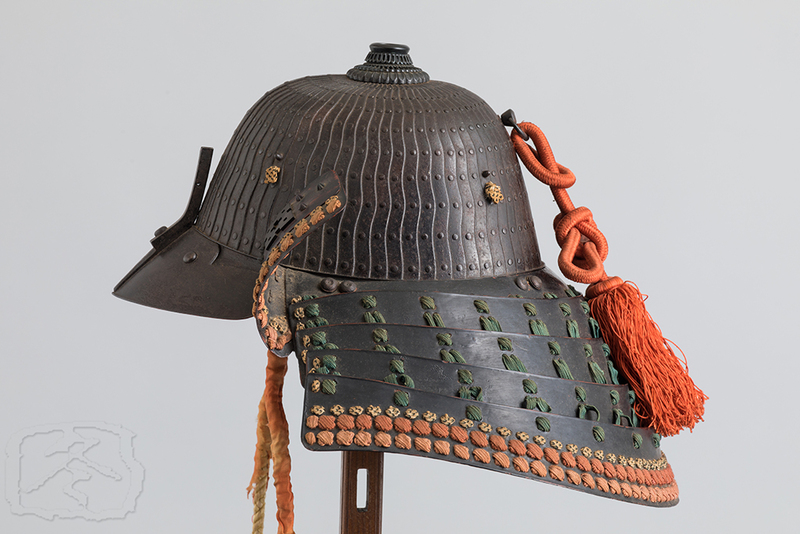 This fine helmet is made of sixty-two plates of russet iron arranged in an attractive wave like pattern. 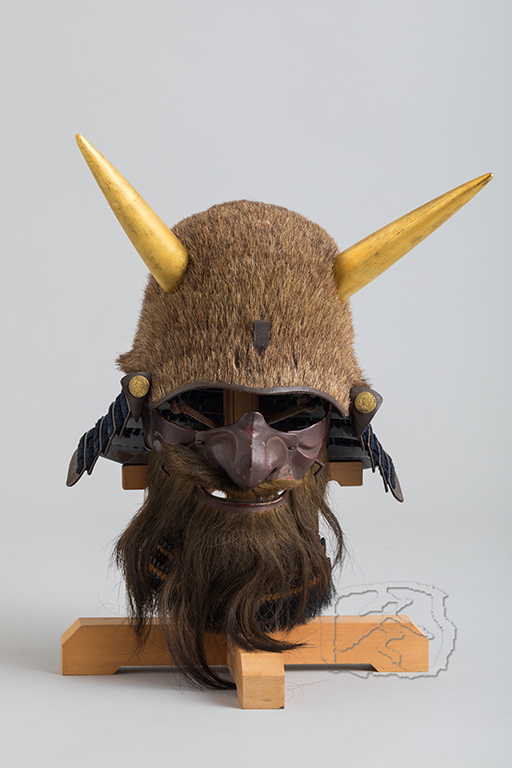 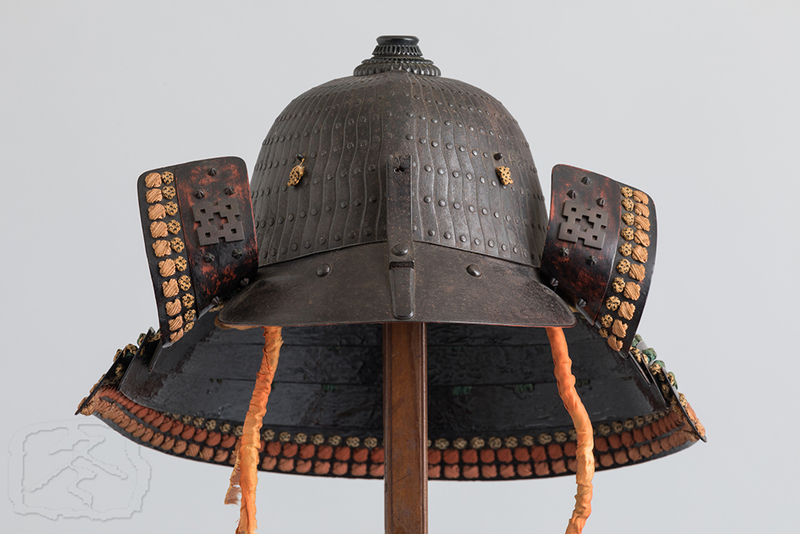 The ‘tehen kanagu’ is made of four tiers of ‘shakudo’ (an alloy of copper and gold). 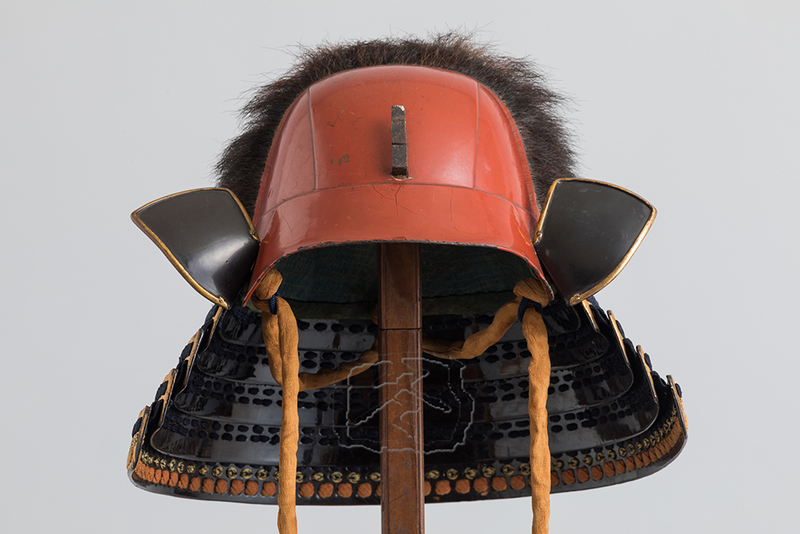 A large red silk bow hangs from the ‘tsukejirushi no kan’ at the rear of the bowl. 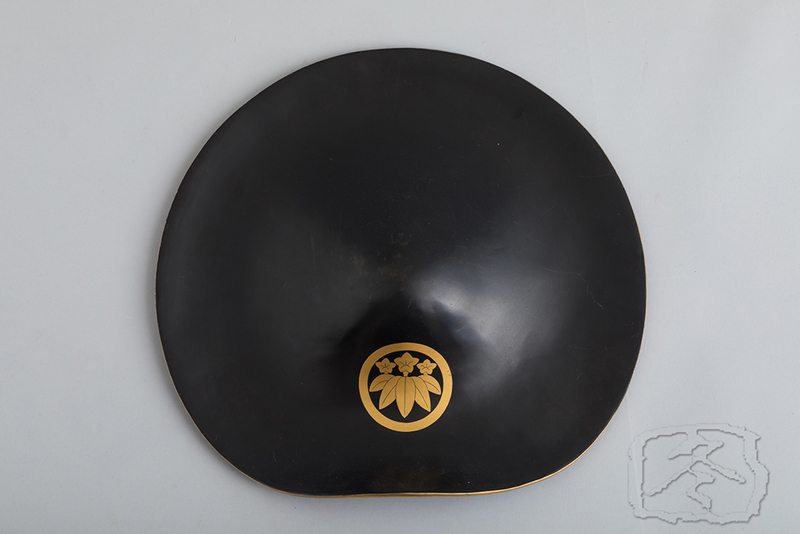 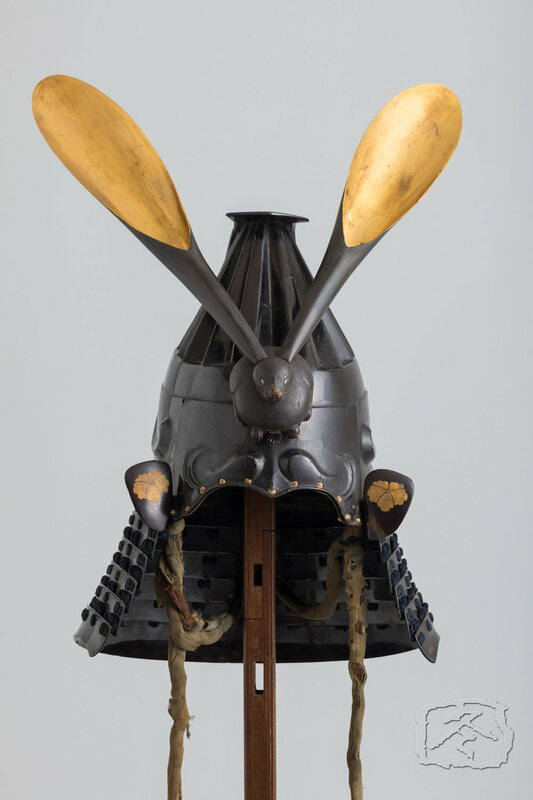 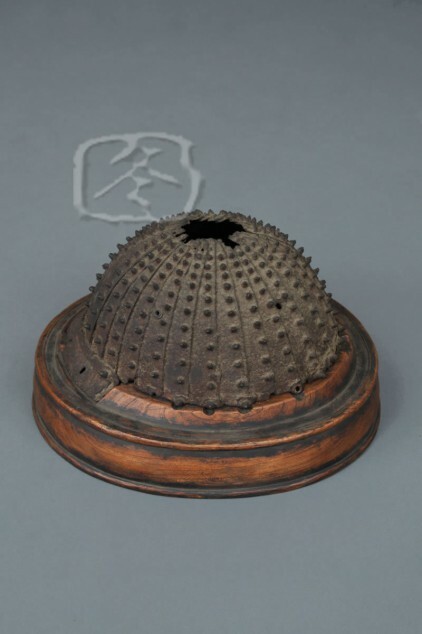 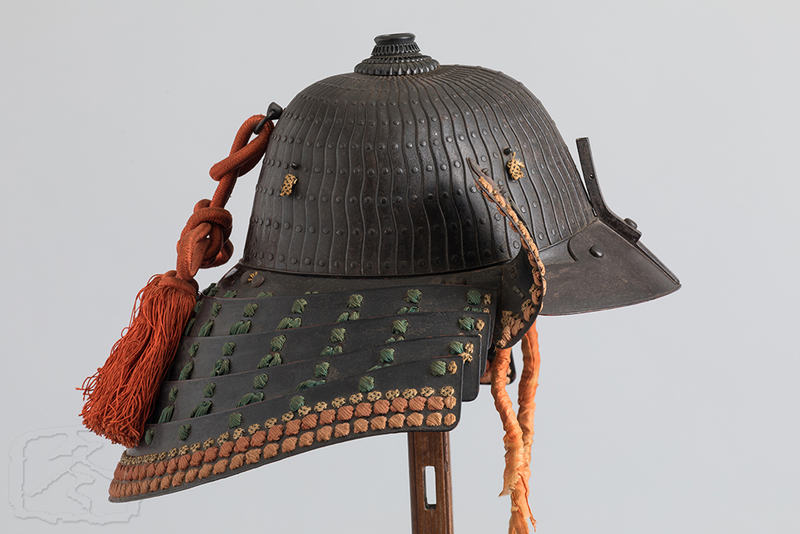 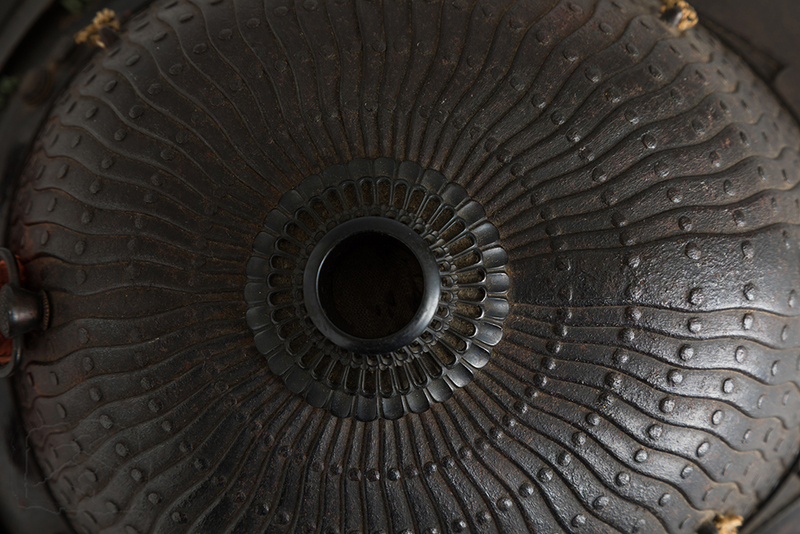 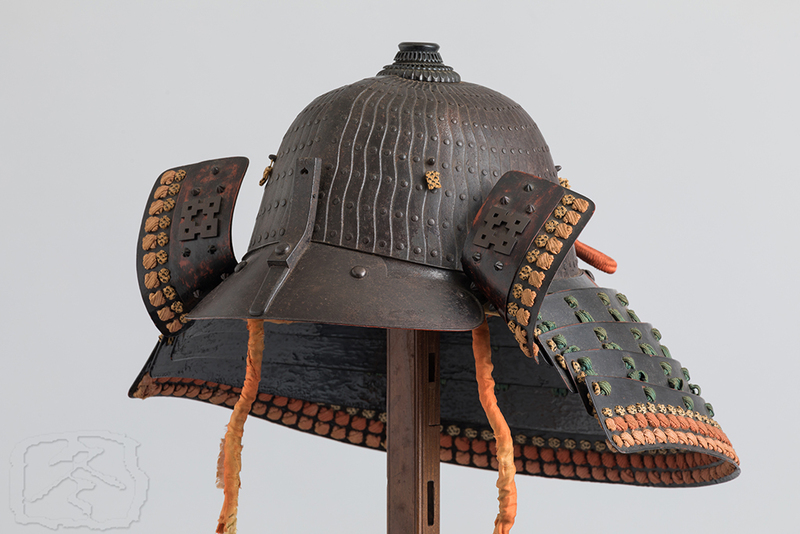 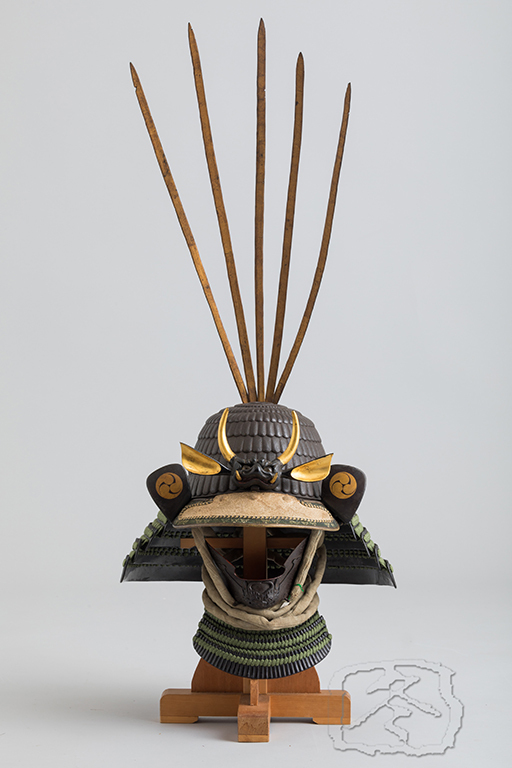 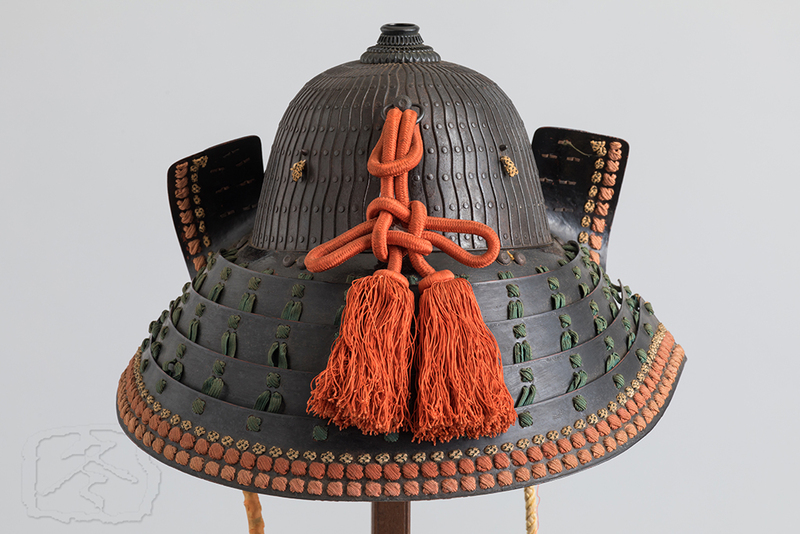 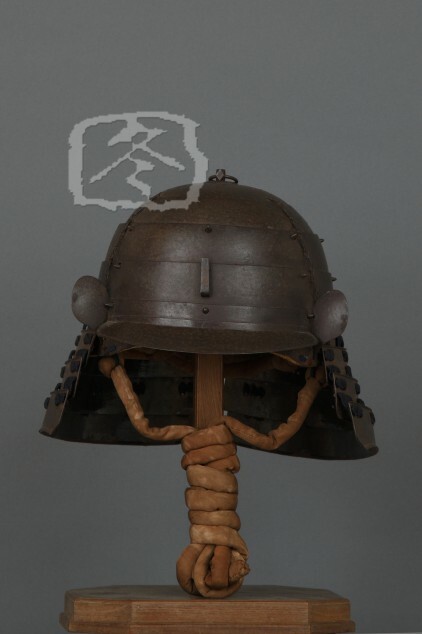 The ‘hineno shikoro’ (close fitting neck guard) is made of five lames of black lacquered iron plate laced with wide spaced green lacing with orange trim.